Home » Adventure » A one on one with the organizers of the new Bijou bike park! 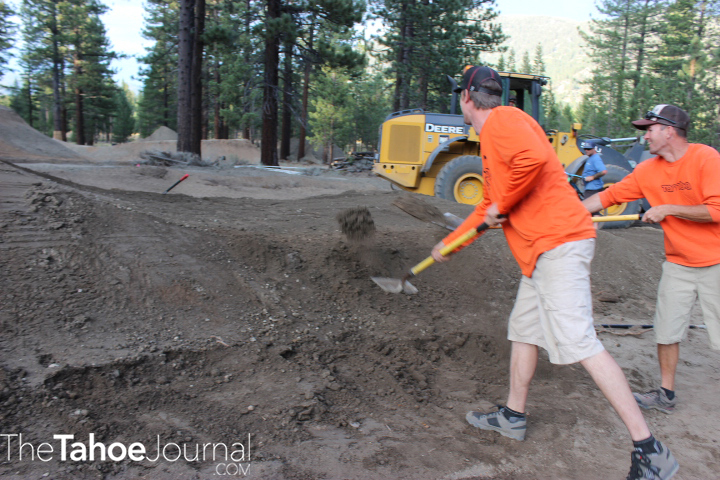 The Tahoe Journal had the chance to chat with the creators of the new Bijou Bike Park and get the inside scoop of what to expect! 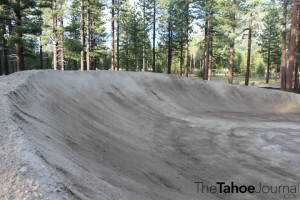 Now, for those of you that don’t know, those huge mounds of dirt piling up on the corner of the bijou park on Al Tahoe are being used to create the city’s new bike park, and we had the chance to check it out and speak with the awesome guys behind the project. 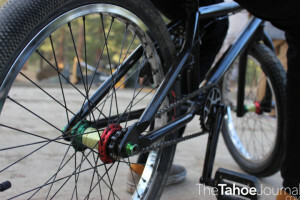 THE TAHOE JOURNAL: So whats the word on this “New Bike Park” off Al Tahoe? Who’s involved and why? 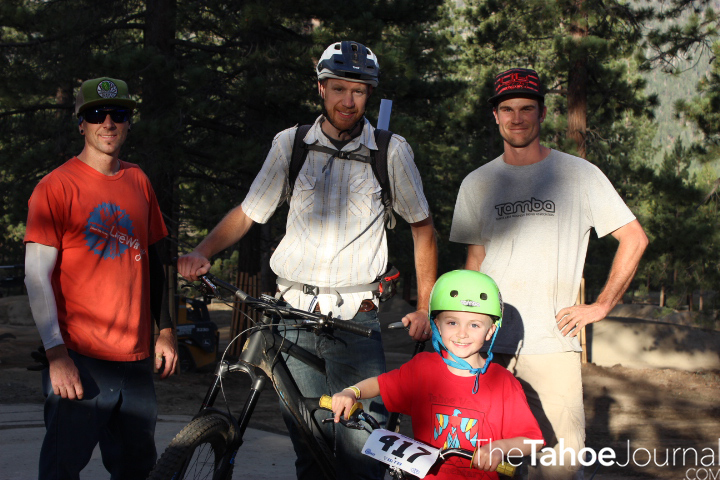 BEN FISH: The Bijou Bike Park started as an idea over 4 years ago when we were getting TAMBA back together, a group in Truckee was proposing the same thing so we started trading notes with them. A few of us met with city staff to propose the idea and were given a green light to move forward drawing up plans on a 4 acre piece of land within Bijou Park to test the idea. I put together the first sketch on my coffee table one night and made a project board with it and series of bullet points talking about what a bike park is and what the benefits are. Lauren and John Thomeselli were the BMX track operators at the time and we included the BMX track in the bike park plans because the existing track site on school land has always been temporary. We had a small group of people pushing the project forward from then on and meeting with the City on a regular basis over the years. Garrett Villanueava lent his expertise in trails and volunteer agreement and wrote the O&M plan. Jason Toutolmin took over the BMX track operations shortly after and became a huge supporter and involved with the BMX track design. I volunteered all my time putting together presentations, design plans, permitting drawings, and cost estimates through the company I work for, Design Workshop. 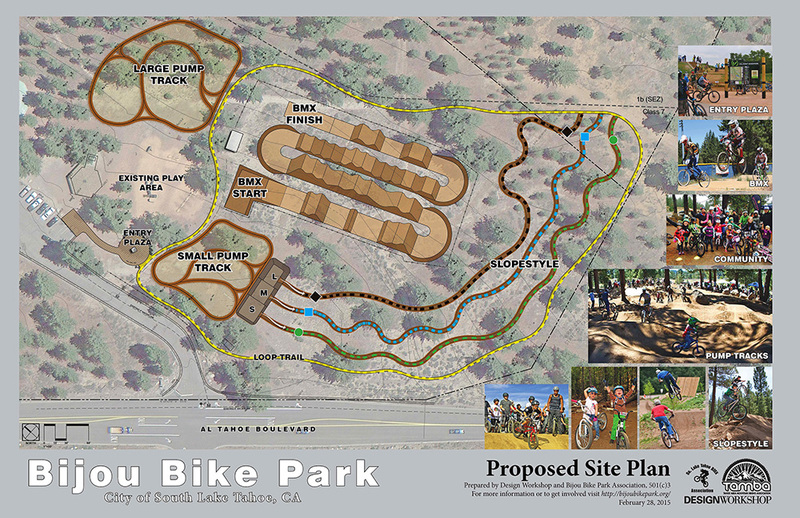 What type of variety can ri ders expect from this Bike Park? There’s a lot packed into a small area, a large pump track in the trees, a small pump track for beginners, a BMX track, a 1/3 mile loop trail, and 3 slopestyle lines (small, medium and large) with 20 wood features like teetter totters, rollers and a 30′ long “hammock” and large jumps. Rumor has it there will be some big events coming through! Any truth to this, and if so what can riders and biking enthusiasts look forward too? 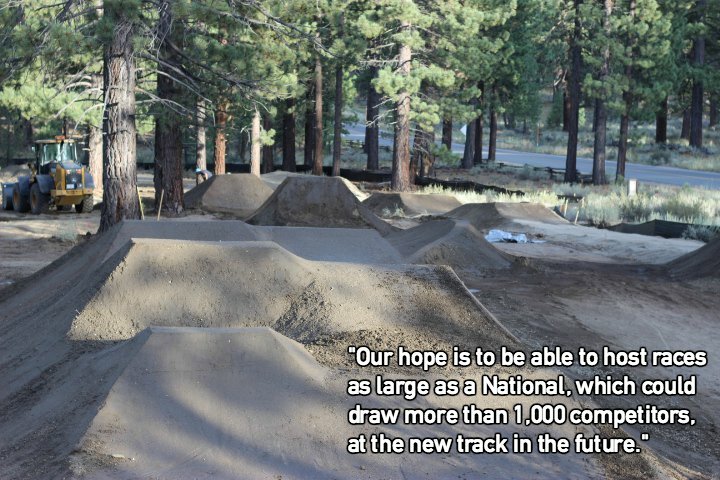 On the pump tracks and slopestyle lines there is the potential we could put on some really cool events. Saturday is a “Gold Cup Qualifier”, Triple Points race. Part of a National Series of qualifiers leading to a final event in Chula Vista, CA in October. Sunday, a California State Championship qualifier, Double Points race. The last qualifier of the season for California, leading to the State finals at the end of August in Roseville, Ca. We are expecting 350-400 racers both Saturday and Sunday making it one of the biggest race weekends in the country, besides a National level race. Our hope is to be able to host races as large as a National, which could draw more than 1,000 competitors, at the new track in the future. The current track is running it’s last season at the current location and is scheduled to be flattened in October. We will be packed this weekend with all the competitors coming to town but the new track in Bijou Bike Park will be able to handle this size event and much bigger when it is open. The new track is as good as it gets too, one of the best anywhere. Biggest hurdle in making this project come to fruition? Selling the idea of a bike park, it’s really not a common use of public land like a soccer field, there’s only about 100 public bike parks in the country compared to about 30,000 skate parks. The permitting process was hard too, first we had to get recommended in the Parks and Rec. Master Plan, the Parks and Rec. Commission approval, Planning Commission approval and of course TRPA approval! TAMAB has raised $15,000 over the years and we thought fundraising was going to be the hardest part, but then the City recognized the value of the project and put $100,000 towards the construction! We can’t thank the City enough. When are you excepted to open this bad boy to the public? Mid September, we still need signage, the entry plaza the wood features in the slopestyle lines and to clean up the construction site once done. Yes, we have a non-profit organization that is accepting donations for tools, materials and future improvements. bijoubikepark.org. We will also be making a call for more volunteers to help get the bike park in top shape before opening, check the website or the TAMBA Facebook page. Right now we have a small group of “pro” TAMBA volunteer builders out there working on the slopestlye lines. How does this project entwine with improving and/or strengthening community bonds? It’s central location will be a hub for the community, the paved greenway bike path will connect directly to it. The bike park is an easy place for kids or anyone just learning to ride to get out and have fun. A mountain bike ride up to Star Lake is not as easy! Even the new work we’ve built at Corral Trail is a harder reach for most people. 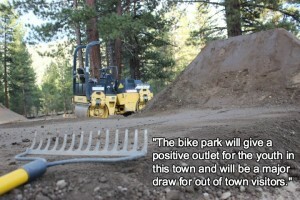 The bike park will give a positive outlet for the youth in this town and will be a major draw for out of town visitors. Future champions from South Lake Tahoe and a healthy and happier community!